An entity controlled by Melco International Development Ltd – the latter an investor in casinos in Asia and which is headed by entrepreneur Lawrence Ho Yau Lung – spent a total of PHP9.70 billion (US$184 million) in a recent share tender exercise, buying back a portion of shares in Melco Resorts and Entertainment (Philippines) Corp it did not already own. The information was included in a report filed on Friday by Melco Resorts Philippines to the Philippine Stock Exchange, concerning the share tender exercise. 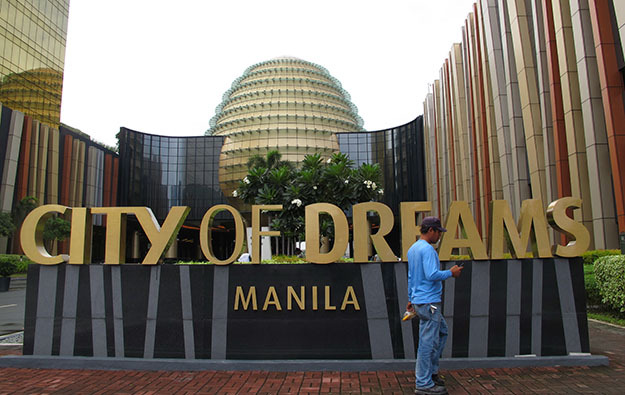 Melco Resorts Philippines is listed on that bourse, and is the operator of the City of Dreams Manila casino resort (pictured), in the Philippine capital. The Melco group’s entity acquired approximately 1.34 billion shares in Melco Resorts Philippines through the share tender, priced at PHP7.25 per share. More than half of those shares – about 766.7 million – where controlled by Philippine shareholders. The trading of shares of Melco Resorts Philippines was suspended with effect from Monday, after the recently-completed tender offer put the firm’s public float below the minimum level required under the rules of the local bourse. The firm provided no guidance on what would happen next. The Melco group – which was Melco Resorts Philippines’ majority owner, with a stake of more than 72 percent, even before the tender offer – had originally planned to take the listed entity off the Philippine Stock Exchange, but encountered some resistance from some stock holders and it withdrew its petition for voluntary delisting of the company.